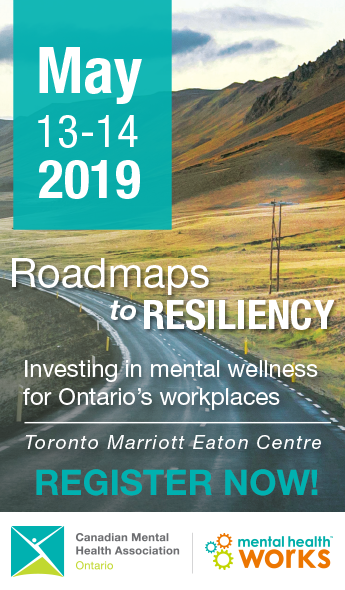 (Toronto, Jan. 17, 2019) – Canadian Mental Health Association, Ontario Division has launched its first-ever fellowship for doctoral students which will recognize and support mental health and addictions research in Ontario. CMHA Ontario will award two Western students fellowships valued at up to $5,000 each. The fellowships are open to doctoral students in public health, clinical sciences (e.g. nursing or social work), health policy, epidemiology or related fields. Applicants must be enrolled full-time in a thesis-based doctoral degree program at Western and be in good standing. CMHA Ontario has identified three main priorities for the research: mental health and addictions, access to mental health/addictions care, and mental health and justice. The fellowships will be awarded based on the quality of the research project, achievements of the applicant and potential impact in Ontario. Award recipients will present their projects at a local CMHA branch. This fellowship was emulated after a similar mental health research scholarship for graduate students offered by CMHA Newfoundland and Labrador. That program, which was implemented in 2009 after a successful pilot in 2008, has funded nine projects over 10 years. The early deadline for CMHA Ontario’s fellowship award applications is Jan. 31 and winners will be announced in March. For more information, visit: https://ontario.cmha.ca/doctoralfellowship/. People with mental health conditions experience stigma, discrimination and social exclusion that significantly impacts on their lives. In any given year, 1 in 5 Canadians experiences a mental illness or addiction problem. By the time Canadians reach 40 years of age, 1 in 2 have – or have had – a mental illness.